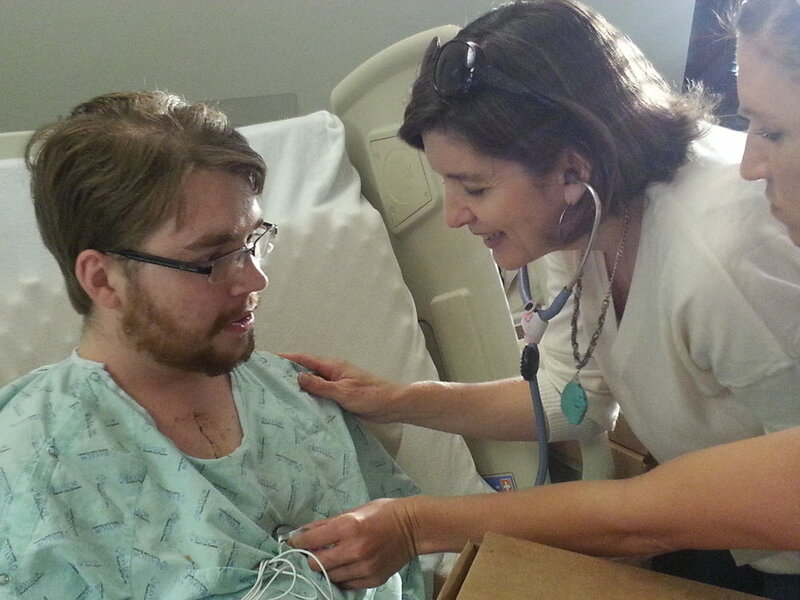 Today, May 31st, is the anniversary of Trenton’s second heart transplant in 2014. Want to know what was going through my mind as we sat in pre-op? Below is the news as I shared it with my friends on Facebook that morning. That was going to be my post last night. I was going to say more about getting to this point where Trenton is now on the list for a heart transplant, but it was late and the words didn’t come. I was going to explain that I had delayed posting anything for a couple days until I knew whether we would get listed. I was going to post that Trent was slowly regaining his strength and beginning to walk after lying in bed for a week. I was going to post that the decision was made to keep him in the hospital until after transplant. I was going to post all that, but I won’t. It’s not the latest news. Park Cities Presbyterian Church was our church family during our first transplant journey nineteen years ago. They were constantly around us, caring for us and Trent (even in surgery, one of the surgeons was a member of PCPC). So, it was a wonderful encounter at the hospital on Wednesday, running into David Burgher, one of the stalwarts of PCPC during its founding. David returned yesterday during the early afternoon to say hello and pray for us. Two hours later, one of the cardiologists came to our room and said the last test on which we were awaiting results came back positive and the only formality left was final approval from our insurance. Being Friday afternoon at 3:30, he said it probably wouldn’t be until Monday and we’d be formally listed by Tuesday at the latest. I was in the car about a half hour later when Valerie called saying the cardiologist had returned to explain that the insurance was already approved. Val called again at 6:00 to say Trenton had just signed the consent forms and he was now on the list. Hence, my “BAM! LISTED!” post. Not long before going to bed, I thought how wild it would be to receive a call in the middle of the night from Valerie that we were heading for surgery. It may help to know our history with calls I have received in the middle of the night. So, yeah, in less than a week, we went from hearing Trenton might not get on the list because of cancer over two years ago to going into surgery soon. Please say a prayer 1) for the donor and the donor’s family, 2) thanks for everything lining up so well, 3) for a successful surgery and 4) a successful recovery.